The National Agency for the Prohibition of Trafficking in Persons (NAPTIP) has arrested a Nigerian based in Sweden for allegedly buying a two month old baby. 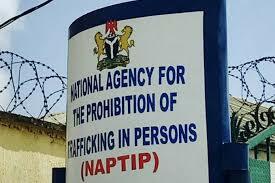 The NAPTIP’s Director of Investigation and Monitoring, Mr Josiah Emerole made this known in Abuja on Friday, explained that the case involved a 43-year old Stephany Bassey who lives in Sweden. He said that NAPTIP was notified of the case by the officers of the Intelligence and International Cooperation (IICU), adding that the suspect was nabbed after she was handed over by the Embassy of Sweden in Nigeria. “The suspect went to the Embassy to procure travel documents for a two month old baby boy whom she claimed was her child. ”She claimed to have become pregnant for her husband in Sweden but that medical examinations could not detect the pregnancy over there. “Then she was advised to return home to Uyo, Akwa Ibom state where the pregnancy will be detected and she will be assisted to deliver safely. “According to her, on her return, the baby was detected by a midwife in Uyo and that due to too much fat in her body, scan and other medical examinations did not detect the baby therein,” he explained. Emerole added that the suspect did not breastfeed the baby and the DNA conducted showed that there was no biological relationship between the suspect and the baby. The spokesperson disclosed that another suspect, Mrs Ifeoma Obinwa was also nabbed for allegedly inflicting grievous body injury on her 14 year old house help in Dutse Alhaji, Abuja. He said that the victim who had lived with her since 2015 was not enrolled into school and was always being physically and emotionally abused. According to him, the victim is always being beaten by the suspect with sticks, wire and sharp objects and such treatment had left wounds and scars on her body including her head. “The last incident that led to the suspect’s arrest happened on Sept. 12, 2018 when the suspect who accused the victim of beating her child allegedly placed a knife on fire until it became very hot and then placed it on the victim’s thigh and buttocks. “And that caused grievous body injuries and the victim was also left untreated until operatives of the agency rescued her. Emerole also told newsmen that one Mrs Sandra Obiosio from Rivers state, who lives in Jabi, Abuja was also arrested for maltreating her 14 year old house help who was brought from Nasarawa. He said that the little girl who looked malnourished was allegedly subjected to all manner of abuse and ill treatment. He added that the victim narrated that “she goes to bed 1am to 2am and wakes up at 4am daily” and the suspect did not enroll her in school as promised before she was engaged. The director noted that all the cases were contrary to various sections of the trafficking in persons enforcement and administration act 2015. He said that as soon as the investigation was concluded, the cases would be charged to court. Speaking to newsmen, one of the suspects, who was allegedly involved in buying of baby, insisted she gave birth to the baby claiming that her pregnancy could not be detected in Sweden because it was ectopic until she came to Uyo. On why she did not breastfeed the two month baby, the suspect claimed she had no breast milk to give to her child. Another suspect, Obinwa admitted to the allegation of using hot object on her house help, saying that she did that out of anger. The third suspect, Obiosio, however, vehemently denied maltreating her house help.